In our series of laptop buyers guides, here’s the latest update to our list of recommended laptops. All numbers in the text are updated to reflect pricing at the time of writing. For Q1 we've just seen some new product announcements at CES which will be shipping soon. AMD's Ryzen is getting a refresh to 3000 series parts and models soon, and manufacturers keep coming up with ways to one-up each other. As always, we’ll break the guide down into several segments to serve various markets, from low-cost, to mid-range, to high end. 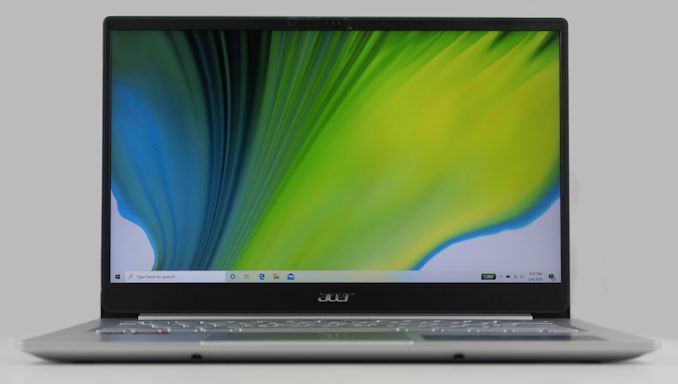 Entry level laptops are going to be lacking features against their more expensive competition, but it's where the trade-offs are made that make or break something in this category. Chuwi tends to offer a lot of product for the dollar, and their latest LapBook SE is no exception. 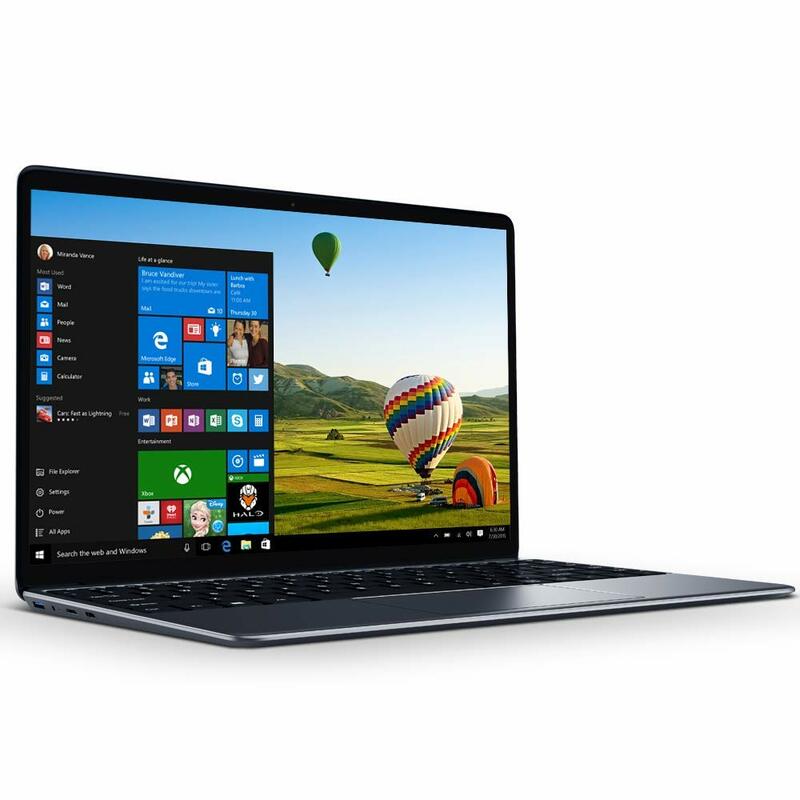 This model is slightly different than the previous one we recommended, and although it seems like a downgrade, it fixes one of the biggest issues with the LapBook SE. Chuwi outfits this with the latest Intel Celeron N4100, based on Gemini Lake, and the performance is a nice jump up from previous models. Gemini Lake is also the first x86 SoC to launch with LPDDR4 support, of which there is only 4 GB in this laptop, which is definitely a drawback. Chuwi originally sold this in North America with a 32 GB eMMC OS drive, and a 128 GB SATA SSD, but the model they are selling now is 64 GB of eMMC only. This is the change I mentioned above that seems like a downgrade, but the 32 GB eMMC as the OS boot drive was an unusable solution, since any programs and just a few patches would quickly fill it. Having 64 GB for the OS is a much more usable device in the end, and you can still add a M.2 drive if needed. The build quality on the LapBook SE is reasonable, and it offers a 13.3-inch 1920x1080 IPS display panel, which is still rare in this segment. We are kind of between devices right now from Chuwi, with this likely being phased out, but if you need something on the tightest budget, it's still worth looking at. We've recently reviewed the LTE model of the Microsoft Surface Go and despite less than stellar battery life, and middling performance from the Intel Pentium, it's still a well-built machine offering a good display. If you're after a small Windows PC, the 3:2 aspect ratio works well, coupled with the light weight, and the removable keyboard offers backlighting and good key travel, but is cramped for everyday use. The base model comes with 4 GB of RAM and 64 GB of eMMC storage, and Microsoft has added extra options with a 4 GB / 128 GB model, or an 8 GB / 128 GB version, with the larger storage options being BGA SSDs upgrading from the eMMC on the 64 GB units.. 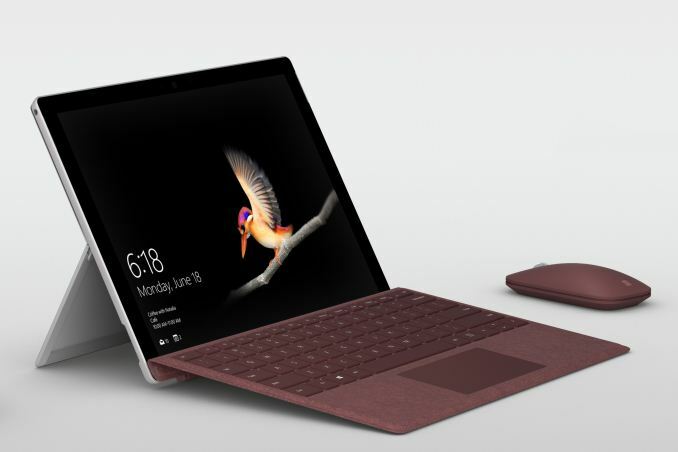 The optional LTE adds untethered mobility as an option, although with LTE it has a MSRP of $679 without the keyboard, and starts to encroach on the Surface Pro pricing. We've had a chance to review several AMD based notebooks offering the Ryzen Mobile APU, and despite some teething issues, AMD offers good performance in notebooks, especially on the GPU side where Vega 8 or Vega 10 is a massive jump in integrated graphics performance over the current Intel lineup. Still, Ryzen Mobile is getting refreshed soon, so be aware. We got a chance to review the Acer Swift 3 with the AMD Ryzen 7 2700U, and the laptop is a good entry for the price. The starting price of $749.99 includes 8 GB of RAM and a 256 GB SSD, along with a good aluminum chassis and nice looking design. The Vega GPU is a stout performer too, offering the ability to play some entry level games on an integrated GPU with surprisingly good framerates. Lenovo is offering the AMD Ryzen Pro CPUs in its A series ThinkPads, which adds functionality necessary for business, wrapped up in the familiar and trusted ThinkPad package. Featuring AMD Ryzen 7 Pro 2700U with integrated Vega graphics, this is a solid entry for someone looking for a laptop featuring Ryzen. It offers two USB-C ports, two USB-A ports, HDMI, and Ethernet in a 14-inch package. The base model offers a 1366x768 TN display and should be avoided, but the IPS 1920x1080 display offers touch as an option if you need it. Thanks to SODIMM slots, you can even outfit this with up to 32 GB of DDR4 RAM, and Lenovo offers up to 512 GB of SSD storage. The 14-inch model comes in at 3.63 pounds, but if you'd prefer something smaller Lenovo offers the similar ThinkPad A285 with a 12.5-inch display and it weighs 2.85 pounds, which we had a chance to review. 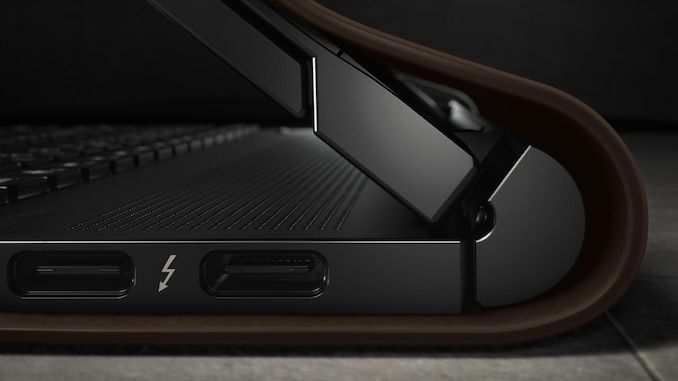 HP's Spectre lineup offers some of the nicest looking laptops around, and the Spectre Folio offers a new take on the PC by building the exterior in leather. Metal is premium in the hand, but leather is taking it up a notch. The Spectre Folio is also a convertible, offering a display that can swing forward and sit on top of the keyboard. Powered by Intel's Y Series Core processors, the device is also fanless, but offers plenty of storage and RAM, with up to 16 GB of LPDDR3 and 2 TB of NVMe storage. 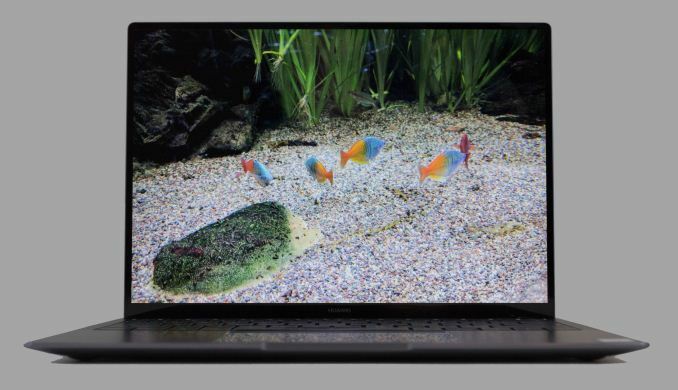 The 13.3-inch display comes as either a 1920x1080, or an optional 3840x2160 model, both of which work with a digital pen. 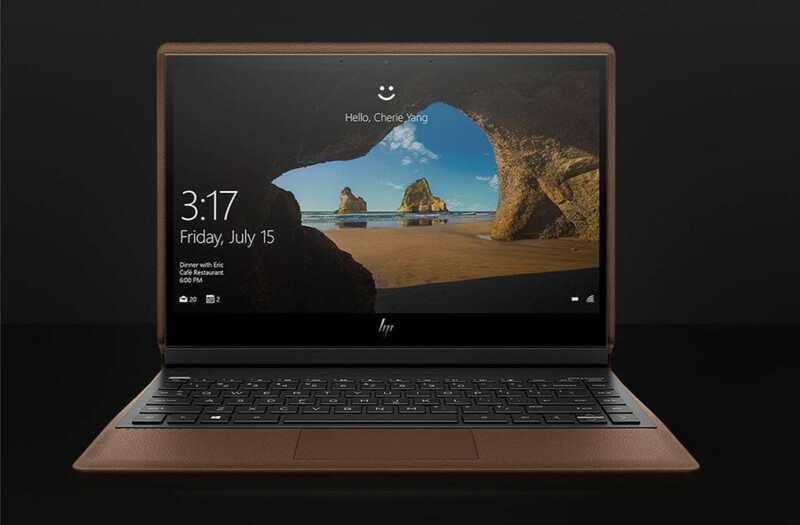 HP has been driving the industry in terms of design over the last couple of generations, and the Folio takes everything just that little bit higher. What's most surprising about the Huawei MateBook X Pro is how much they got right when they are relatively new to the PC game. The MateBook X Pro feels like Huawei looked at everything that could be added to an Ultrabook, and decided to just add it all. It's got a beautiful design, featuring very thin bezels like the XPS line from Dell. It's got a Core i5 or Core i7 quad-core CPU, with 8 or 16 GB of RAM, and 256 or 512 GB or storage. There's Thunderbolt 3 over USB-C, but also a USB-A port for compatibility. The high-end model ships with a USB-C breakout box to provide HDMI, VGA, and another USB-C port, along with USB-A. The 3000x2000 display is one of the most accurate we've ever tested, and the power efficiency is almost chart topping. The Core i7 model even ships with an NVIDIA GeForce MX150 GPU, providing much more performance than the integrated graphics can. The MateBook X Pro is a stunner that impresses every time you use it. The fact that it costs hundreds of dollars less than comparable models is the icing on the cake. Check our our review. 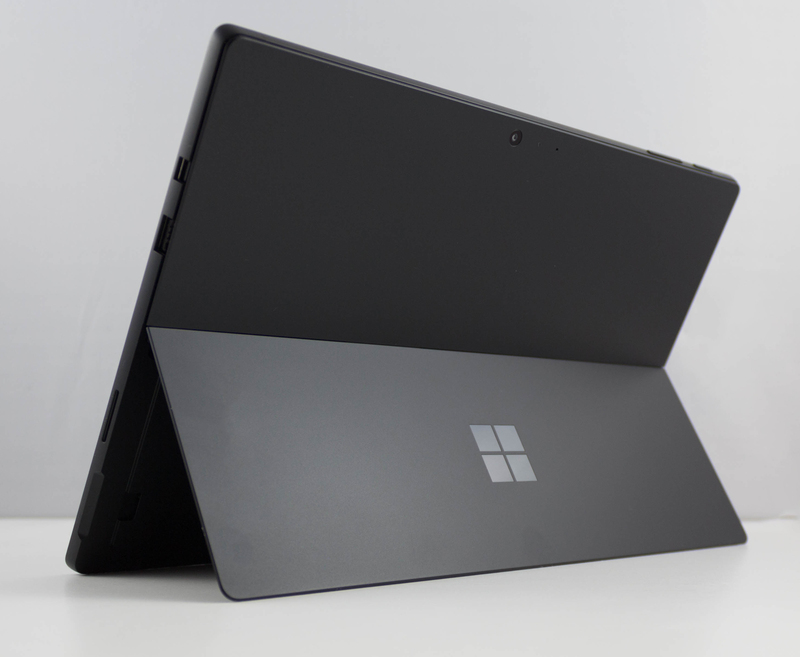 There's little doubt that Microsoft has scored a big win with the Surface Pro lineup, inspiring other companies to mimic their design, but with the latest model, Microsoft maintains their edge. Now featuring quad-core U series CPUs, there's no longer the performance gap that existed while the Surface Pro 2017 model was being offered. The price has even gone down for this year, thanks to a smart decision to switch to Windows 10 Home on the consumer version. If you need Pro, it's of course an easy upgrade in the store, but for most people, Home is all they require, so the cost savings are appreciated. The standout feature is the new black color, which does look awfully good. The Core i5-8250U model is also fanless, yet able to deal with the full 15 Watts from the CPU, as we saw in our review. Also, the battery life has been improved quite a bit, and what initially seemed like a modest revision turned out to be a really nice update for a device that was already the class leader. The lack of USB-C is lamentable, but the overall package is tough to beat. 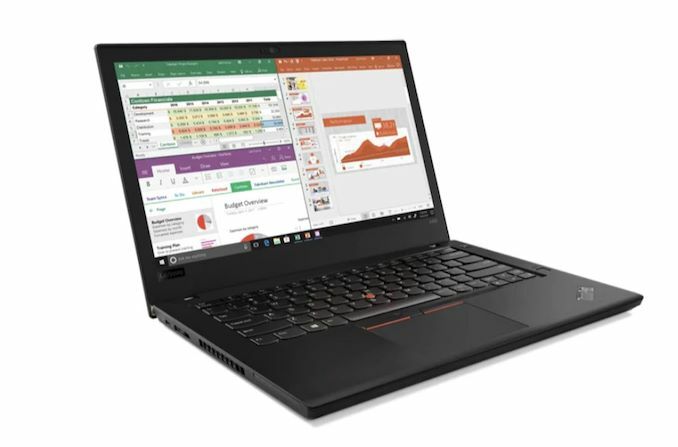 Lenovo's ThinkPad X1 Yoga takes their amazing 360° hinge and pairs it with a ThinkPad design, offering a great keyboard, and of course the latest 8th generation Intel CPUs. If you want a convertible that is a laptop most of the time, the Yoga hinge is the way to go. It offers a very usable tent and stand mode, as well as a not as great tablet mode, but if you need a keyboard in your lap, this is the right answer. The 14-inch display can be either a 1920x1080 IPS, or a 2560x1440 IPS as well, with the higher resolution display even offered with Dolby Vision. At just 3.08 pounds, it's also easy to take with you. 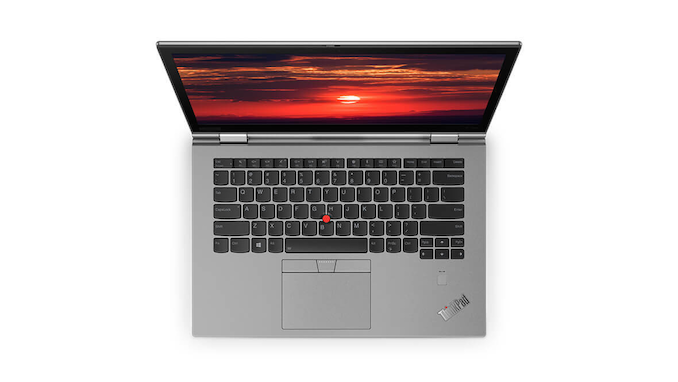 Lenovo offers it in their traditional black finish, or the new gray as well. Sometimes you just need more performance, and the integrated GPU isn't going to cut it. If you're into gaming, some of the more gaming focused devices are likely a better bet, but if you need a strong laptop to get work done, these laptops fit the bill. Dell's XPS 15 is one of the best in its class, and Dell has refreshed it with the latest Intel CPUs, from the Core i5-8300H, to the Core i7-8570H, all the way up to the Core i9-8950HK. You can get it with either the GTX 1050, or GTX 1050 Ti GPU as well, with the latter being a bump over the 9560 model last year. RAM is up to 32 GB of DDR4-2666 in 2x16 GB, and Dell still offers both a 1920x1080 FHD display, or the 3840x2160 panel with Adobe RGB coverage. Likely the best laptop we've reviewed in several years is the Microsoft Surface Book 2. The 15-inch model got a go on our bench, and it's the best laptop available right now. Microsoft has improved it dramatically with new quad-core CPU options based on Kaby Lake-R, and offers very powerful GPUs in the 13-inch with the GTX 1050, and the 15-inch model whiich offers the very strong GTX 1060. 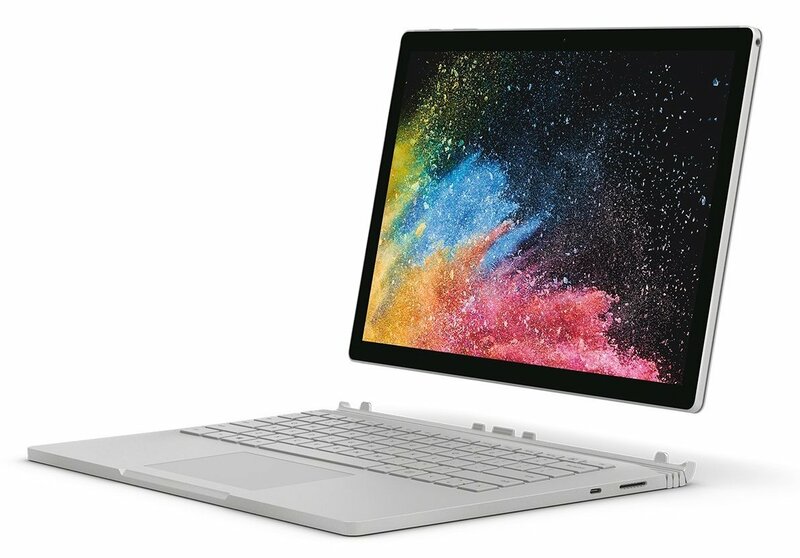 Microsoft sets the bar in terms of display quality, and the Surface Book 2 is no exception, with its 3240x2160 resolution PixelSense display. The device is of course also a detachable tablet, and with the tablet and laptop combined, it has 86 Wh of capacity, and it provided almost 14 hours of run time on our light battery test. The Surface Book 2 couples incredible performance with an elegant design. Microsoft has even provided a USB Type-C port for the first time on their devices, although it's not TB3. Apple has refreshed the MacBook Pro lineup with Intel's Hex-Core Coffee Lake CPUs. They've also given the keyboard a once-over to hopefully improve the reliability of the butterfly design. 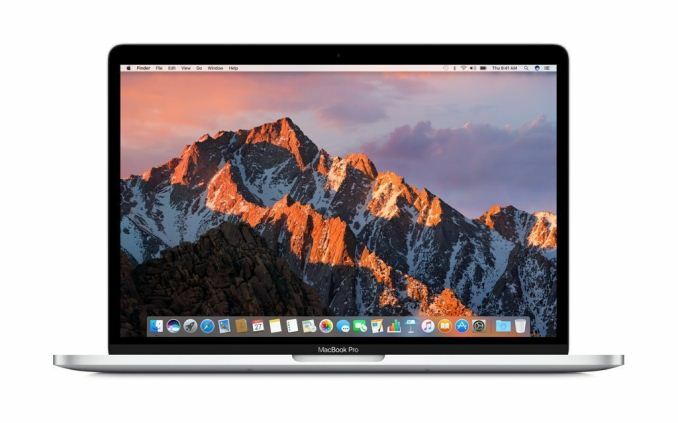 If you're in the market for a Mac, the MacBook Pro 15 is the one to beat. They've also moved from LPDDR3 which limited them to 16 GB of RAM, to DDR4 which doubles the maximum capacity to 32 GB. To compensate for the extra power draw from the CPU and RAM, Apple has also bumped the battery capacity to 83.6 Wh. The only complaint I have with the Folio is the CPU. They really should have put an i5-8350U in there, it has been done with other ultra books or similar thickness and contrary to what people say about the leather acting as an insulator...you know what else is an insulator: plastic. If a Dell Latitude 5290 can rock an 8th gen i5 U while being made entirely out of plastic then so can a leather clad ultrabook. It really just comes down to the cooling ductwork. One, I don't see any Toshiba laptops on this list. Pretty much. I get a lot of these modern 'art toy' laptops in for repair. They are pathetically fragile and basically overpriced landfill fodder.